LG has announced its second-quarter results for the 2017 and things don't look too good for the mobile division, yet again. While both the Home Appliance & Air Solution unit and the Home Entertainment unit have brought in profits ($412.5M and $303.8M, respectively), thanks to strong sales of fridges, washing machines, and OLED TVs, the Mobile Communications division continues to bleed billions of Korean won. 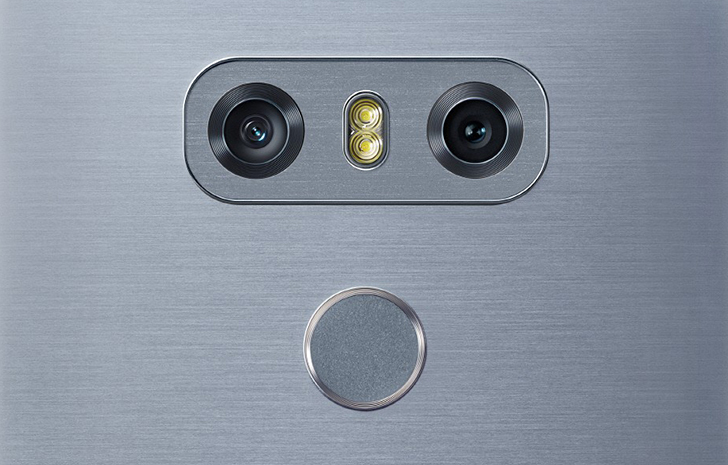 According to LG, the mobile unit had $2.39B in revenue, but the operating margin was again a loss of $117.27M. That's slightly less than last year's Q2 where the unit lost $132M largely due to the G5's mitigated reception. While the good news is that it's better than last year's Q3 when the unit cost the company $389M and Q4 when it went further down to a loss of around $420M, it is again worrisome because the mobile division had almost broken even last quarter in Q1 2017 by only losing $180K. That's thousands, instead of billions. It was on a good path, but the downward spiral looms again. 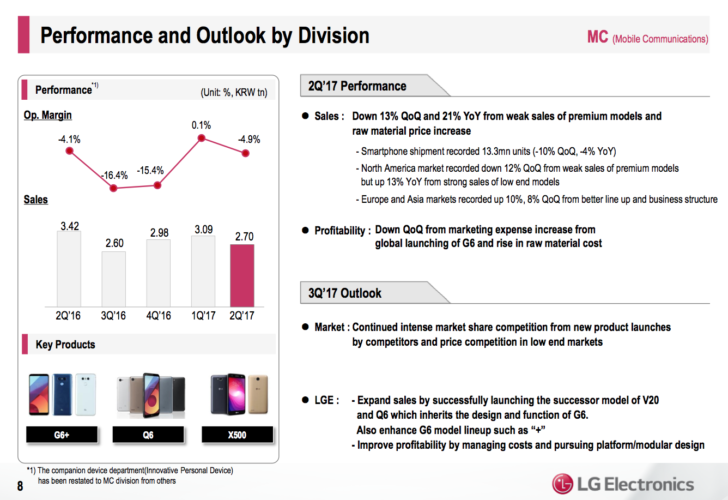 LG is blaming this poor performance from the mobile division again on "weaker than expected" G6 sales and "increase in component costs." It's hoping that the new Q series and its Q8 as well as the to-be-announced V30 will improve performance in the second half of 2017. 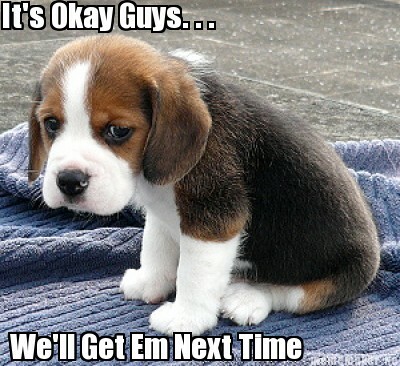 It's sad that we keep hearing this same promise of "it'll be better next time, we swear," quarter after quarter. I love LG's products and I just hope that the mobile division can find a way to straighten itself out and appeal to a larger customer base because more options and more competition are what keep this industry interesting. SEOUL, July 27, 2017 ― LG Electronics Inc. (LG) today announced second-quarter 2017 revenues of KRW 14.55 trillion (USD 12.89billion), an increase of nearly 4 percent from the same period last year, led by the home appliance unit, which reported a 12 percent sales increase from the 2016 second quarter. Three of the company’s four main business units reported higher revenues than a year ago. Quarterly operating income of KRW 664.1 billion (USD 588.2 million) was 13.6 percent higher in 2017, despite a challenging quarter for the mobile business. LG Electronics’ unaudited quarterly earnings results are based on IFRS (International Financial Reporting Standards) for the three-month period ending June 30, 2017. Amounts in Korean won (KRW) are translated into U.S. dollars (USD) at the average rate of the three-month period of the corresponding quarter ― KRW 1,129.05 per USD. LG Electronics, Inc. (KSE: 066570.KS) is a global leader and technology innovator in consumer electronics, mobile communications and home appliances, employing 75,000 people working in 118 locations around the world. With 2016 global sales of USD 47.9 billion (KRW 55.4 trillion), LG comprises four business units ― Home Appliance & Air Solution, Mobile Communications, Home Entertainment and Vehicle Components ― and is one of the world’s leading producers of flat panel TVs, mobile devices, air conditioners, washing machines and refrigerators. For more news and information on LG Electronics, please visit www.LGnewsroom.com.